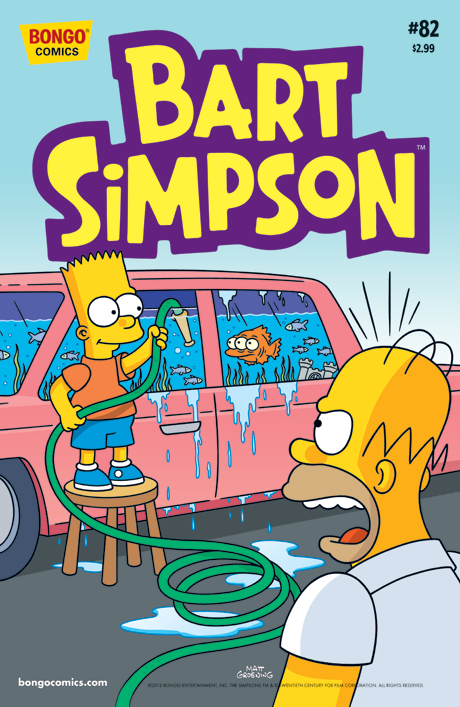 Bart Simpson #82 is the eighty-second issue of Bart Simpson Comics. It was released on April 24, 2013. "Martin Prince decides to make a move up the Springfield Elementary food chain by auditioning for the role of Bart’s second banana. Then, Homer and Bart pull an all-nighter and put themselves on high alert to prevent a potential home invasion. And Marge takes Maggie to get her picture taken by Springfield’s preeminent photographer, who has a penchant for premonitions." Main article: The Martin Chronicles! Main article: So Long, Chum! Modified on December 6, 2017, at 10:30.